I grew up in Chesham and moved to London to study, met my husband and lived mainly in West London for 17 years. We decided to move out of London about six years ago and the obvious choice was Chesham. I don’t have any official family here anymore but do have my oldest friend, and had it not been for her and her husband encouraging us to just take the plunge, I’m not sure we would have done it. I actually have a ‘proper’ full time job in North London, so commute there Monday- Friday. I started crocheting a few years ago on a whim, it was something I’d been told I couldn’t do as I’m left handed. I also wanted to learn something creative. The crocheting then developed as something to do on my train journey. 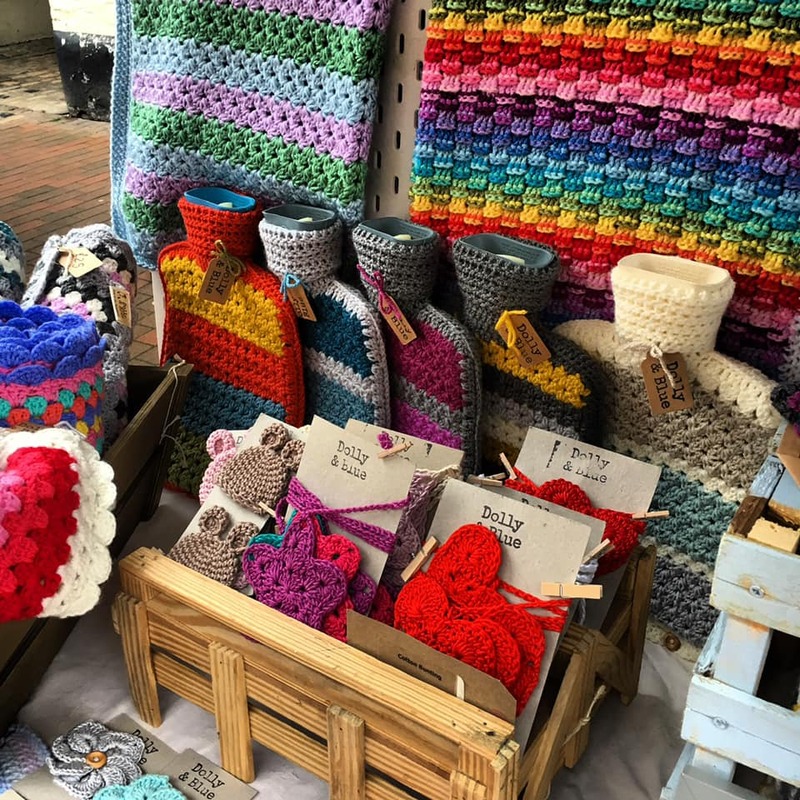 I ended up making enough stuff to have a market stall one Sunday in December and my husband encouraged me to contact Chesham Local Produce Market to see if I could have a pitch. I didn’t think then that I would have a regular pitch and that the market would have such an impact on me. There are a lot of things that would surprise my customers about me ! The name Dolly and Blue came from my cat’s name (she was named after Dolly Parton) and my family nickname, Blue. Definitely the sense of community, it’s taken me a long time to settle back into living in Chesham and being part of the market community has really helped with that sense of belonging. I’ve met some great people through the market, and I now crochet with a local lady, who has become a good friend every Monday evening. On a pragmatic side Chesham is close enough to London to enable me to continue to work there, but being based in Chesham means I can enjoy the beautiful countryside. I’m taking a break from my regular pitch until September and am already planning new stock for Autumn /Christmas. My mini hot water bottles were popular last month so will definitely be making some more of those. I’m on a bit of a self-imposed yarn buying ban as there is only so much that we can fit in our cottage.